Welcome to the coveted Pure Building. 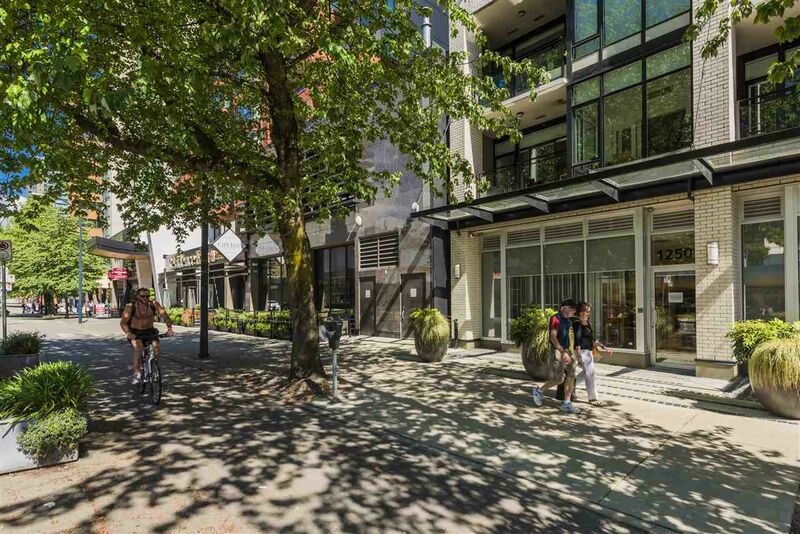 Quietly nestled along hornby's bike lane, but only steps away from all the important downtown amenities & attractions. Whether your commute is by bike, train, bus, or boat this location is ideal! This large 1 bedroom boasts 9ft+ ceilings, floor to ceiling windows, quality European designed kitchen & bathroom, in suite storage & an enclosed balcony you can enjoy all year long. Built by Bogner Developments, who specialize in upscale homes, this quality building offers a bike room, exercise room & social room. 1 parking stall included. Pro Active Strata, Quality Building, Solid Investment. Open House Sunday May 29th 2pm-4:30pm.